Olson's Bookstore, Washington, D.C. · One Book. One Author. One Hour. Unknown, “Olson's Bookstore, Washington, D.C.,” One Book. One Author. One Hour., accessed April 19, 2019, http://booknotes.gmu.edu/items/show/2981. 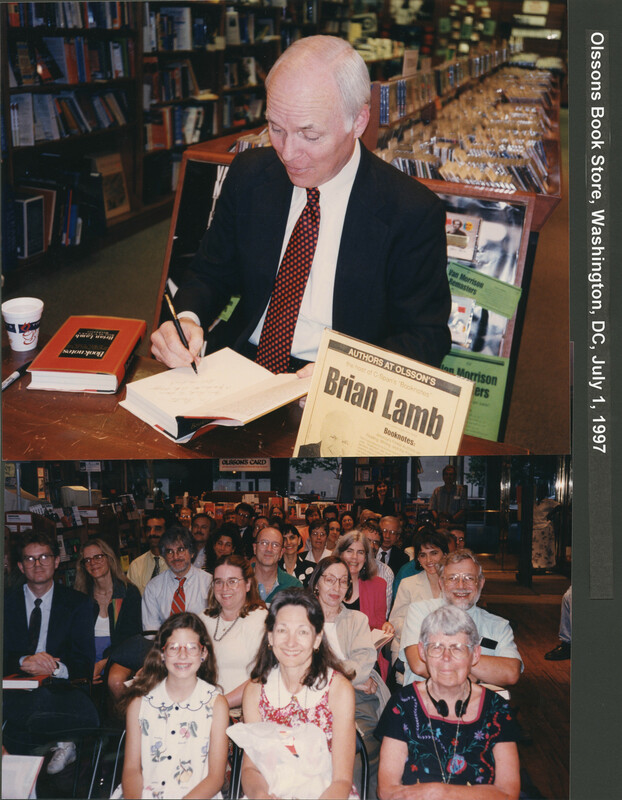 Brian Lamb signing a book at an event at Olsson's book store at Washington DC's Metro Center, 1200 F Street, NW. 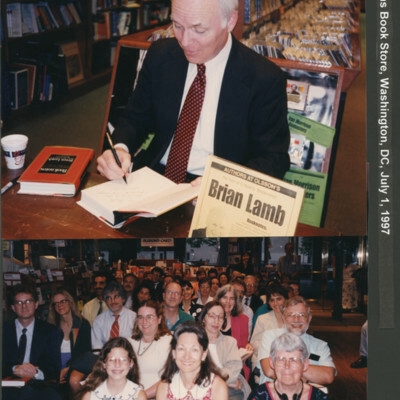 Bottom image shows Brian's view of his audience at a book talk at Olsson's Book Store at Metro Center in Washington, DC.